As summer 2018 approaches, we’re looking forward to meeting this year’s interns, and reflecting on the smart, thoughtful, and passionate young people who have joined us in past years. In that vein, we’re sharing reflections from our summer 2017 interns, Amber and Emily, who are both quick to make connections between what they learned here in Alaska and their experiences around the world. Amber (Wei-Yung) Liu was the Northern Center’s summer 2017 outreach intern. I never thought I’d be able to come to Alaska, but I found this internship through postings on my school’s website. I knew a past Northern Center intern from my school, Caitlin Corrigan-Orosco, and she recommended the organization. I decided to apply. I’d heard there are good people here, and great mountains to hike. I didn’t really know what to expect. I love how everyone at the Northern Center really believes in what they’re doing, and that we’re doing good work, but the office is still really flexible. I felt very welcome here. I love Fairbanks, and the midnight sun. At first I thought it was so weird that it didn’t get dark, but then I got used to it, and I love it. I don’t know why, exactly. I’d like to come back again in the summer, and do more hiking, and also see Fairbanks in winter, with snow. I’ve never been in a snowy place. (A Northern Center member) Carol invited us to go hiking with her and her daughter Lily, and it was amazing. I’ve done a lot of intense outdoor trips through school–like where we’re teaching each other skills that you really need to learn–but hiking with them was so relaxing. I loved just walking, being out in nature with them. I didn’t really think much about environmental issues before coming to the Northern Center. I study science, and I mostly went out to appreciate nature. But I’m interested in how science can contribute to social and environmental issues, and I’ve been reading about engaging scientists in environmental justice communities. I relate to this because I grew up seeing environmental injustice in Taiwan, but I didn’t know to recognize it as environmental injustice. The government there supports industries like the nuclear power plant dumping nuclear waste on an island where an Indigenous village lives. The villagers only recently found out is was nuclear waste because the company puts the waste in a Conex, ships it to the island, and the government is not helping to solve this problem. On the main island of Taiwan, we knew about it. It’s a really big issue, but not really reported by the news. But I feel empowered now to bring back what I learned about environmental injustice to Taiwan. After hearing Princess (Johnson) talk about her village, and conversation with staff, I really started to see connections. I’ll always think about those connections when I’m hiking in the future. Emily Yacina was the Northern Center’s summer 2017 Arctic Intern. I decided to major in Environmental Studies around the same time I began gaining interest in activism and social justice. My freshman year of college included classes like Chemistry of the Environment, UrbanResilience, and Intro to Feminist Theory. At that point, everything I was interested in seemed compartmentalized. I couldn’t see how environmentalism was a people issue—and I also couldn’t see why social equality had to include environmentalism. But the more I learned, the more I realized how social justice and environmentalism are completely and fully intertwined. Now, it seems impossible to talk about one and not the other. My time at the Northern Center affirmed this in tremendously concrete ways. The ways in which people succeed, or don’t, in a capitalist society like ours is based on different intersections of identity. For example, one might be more advantaged if they are not impeded by sexism, racism, or elitism. Oppression based on how we look or how much money we have seems like clear factors in our success as Americans. But what about something less obvious, like vulnerability to climate disaster? I believe that the impacts of climate change intersect with race, class, and gender identity to form unique experiences of oppression. When I started reading about the Arctic Refuge, I ran into common sentiments: “This land is sacred because it is has been untarnished by man,” or “we must protect the refuge because it is one of the last untrammeled areas of wilderness left.” I noticed an overarching theme of protecting the sacred, the untouched, even though people have lived off of this land for thousands of years. Promoting protection of the refuge because it is virgin land ignores the experiences of communities and people who have called it their home throughout history. Protecting the Refuge is not just about saving trees and caribou, it’s also about recognizing that there are Native communities within the Refuge who would be extremely susceptible to dispersion if leasing occurs. Through the Northern Center, I met Princess Lucaj, whose family is from the Refuge. Talking with her affirmed the humanity of the Refuge. During my internship, Jimmy Fox spoke about the Anthropocene and the threat of 2.5 particles on Fairbanks residents. Adaptation to the ever-so-changing Anthropocene could quite literally leave communities in the dust, especially poor communities who are largely of color; those with wealth and power will be safer from environmental disaster. Later, Jessica Girard of the Fairbanks Climate Action Coalition spoke about a “just transition”- an energy transition that ensures safety for the most vulnerable groups. Without resources, resilience to natural disasters can be impossible. How will we work together to ensure that underprivileged groups are prepared? And what does it look like to organize in places outside of Fairbanks? In New York City, where I go to school, the most imposing and immediate climate threat is heat. As the ozone provides less and less filter for the sun’s heat, the city’s climate becomes swamp-like. Already, the most deaths in the city occur in the summer and are heat-related. Neighborhoods that lack clean water or air-conditioning are the ones without much wealth and the highest population of black and brown people. How can we make sure that these neighborhoods are prepared? A just transition looks different for each place depending on what threats they’re facing. Collectively, a just transition ensures that those who are most vulnerable to climate are kept as safe as those with resources for protection. 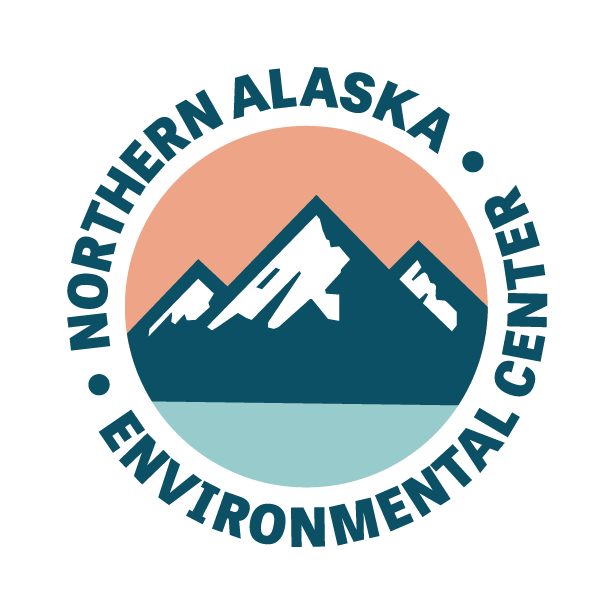 My time at the Northern Center has proven that environmental work is as human as it gets. In Alaska, discourse surrounding conservation must include the well-being of Native peoples who have been historically and systemically excluded from the conversation. I think it’s crucial that we challenge ourselves to keep oppressed groups in our minds and plans whenever we make environmental strides. The health of the environment is inseparable from the health of the people, in the Arctic, in New York, and everywhere.